In these two essays, Schuon describes the significance of castes and races in regard to human nature, or more aptly, human being. His view rejects the notion of these categories as being fundamentally socially conditioned, constructed, or accidental, and instead analyzes them as expressions of human nature. 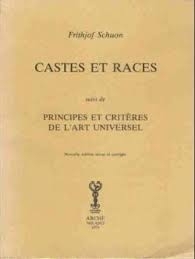 Schuon’s two essays discussing race and caste were published together and are complementary, but here I will only discuss “The Meaning of Race.” However, a quick overview of what the terms “caste” and “race” mean for Schuon is first necessary. Caste takes precedence over race because spirit has priority over form; race is a form while caste is a spirit. Even Hindu castes, which were in origin purely Indo-European, cannot be limited to a single race: there are Tamil, Balinese and Siamese brahmins. 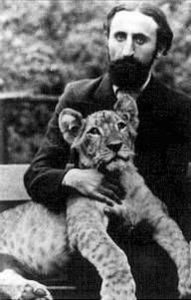 For Schuon, race has no metaphysical component, but rather is a “formal constraint” upon the expression of spirit: race is essentially a “style” through which the formless spirit is expressed, defining the “being,” and by extension the activity, of a people. In the same way that artistic genius has different ways of expressing itself depending on the particular culture it is expressed within, so spirit, which is universal, expresses itself through various racial styles. It could be compared to a single light shining through different colors of glass, the light gaining a different appearance and character depending on the color through which it shines. For Schuon, race is the root of culture, for culture is the creative activity of a race in which its inherent qualities and predispositions are exteriorized and formalized. Schuon considers “black,” “white,” and “yellow” to be the three principal races. Of course, these are extremely broad categories, but he believes that all peoples fit into these categories, or else fit somewhere between them. The logic behind these three categories lies partly in his understanding of race as correlating to the three gunas, or modes, of Hinduism (tamas [sleep, ignorance], sattva [goodness], and rajas [passion], respectively) and lies partly in his analysis of racial styles. For example, while the Chinese and Japanese have distinct languages and cultures, Schuon would claim that they both exemplify the yellow race because both races exhibit a non-dramatic, “intuitive delicacy” in the field of art, and other qualitative similarities, such as a disdain for eloquence and a penchant for sober, elliptical expression in language. These qualities can be observed in most Asian cultures. It should be noted that Schuon’s idea of “white” is much broader than is commonly understood by the term. Under the category “white,” Schuon does not only categorize Europeans, but also Semitic whites (Arabs and Jews) and (Aryan-descended) Indians. For Schuon, there is a great diversity of style within the white race: it exemplifies a greater “disequilibrium” than the yellow and black races, which is why it has given birth to such different cultures and civilizations. The mental diversity of white peoples can be evidenced by the diversity of religions (Hinduism, Christianity, Islam, Judaism, Greco-Roman, and Germanic paganism) that have gained predominance in white cultures. However, all the languages of these peoples produce “long, rich, incisive sentences,” and all the white cultures are marked by a dramatic opposition between man and nature, at least compared to black and yellow peoples. Likewise, a higher degree of mental proclivity is present in white peoples. Schuon writes that the element of the white race is “fire.” Fire can either be tame like a burning candle, or wild, consuming, and restless. The former is best represented by the contemplativeness of the Hindus, and the latter is represented by the strong inclination towards action and expansion in Westerners. As evidenced by the Spanish rule of South America that completely reshaped the people of that continent, and the lasting British influence in India, as well as the Arab conquests, one can understand Schuon’s claim that the territorial expansion of whites completely changes the language and character of a people. English is the current lingua franca across the world. On the other hand, the imperialism of yellow peoples, such as Japan’s half-century rule over Taiwan, often leaves the subject people’s culture comparatively intact. Black peoples are mostly stagnant and self-contained, with no significant or reshaping influence on any non-black people of note in the present day. While the predominant character of each race is dominated by different elements, the races are not in watertight compartments, and each race exemplifies the predominant element of another, to a greater or lesser degree, in its own predominant element. As stated above, the luminous, fiery, creative quality of Westerners (sattva) also has a certain destructiveness (tamas) about it. The earth element is heavy (tamas), but also fertile (rajas), and earth, by its nature, contains luminous crystals and minerals (sattva). While Schuon takes a firm stance against the “anti-racists” of his day, he is quick to critique Eurocentrism with regard to the judgment of certain physical traits in other races that have historically been viewed as marks of inferiority. For Schuon, the prognathic jaw line, low forehead, and thick lips, historically referenced by Westerners to compare blacks with apes, are not marks of inferiority, but rather signify a racial type that is less predisposed to thinking, more vital, and more “centered on being” than races in which the orthogonal jawline is more common. These traits are not indicators of barbarism: he cites certain barbarous peoples that are predominantly orthogonal and civilized peoples that are predominantly prognathic. I found this particularly interesting, as it puts forth a fundamental reason for why black peoples typically have lower IQs than whites, since it is due to their consciousness being generally less mental. On the upside, blacks are usually more grounded or “down-to-earth” than whites, which is perhaps why they are underrepresented in fields that require abstract thinking, but otherwise seem less prone to the anxiety, overthinking, and unrest that engulfs many white minds. If Schuon can be said to be an ethnonationalist, his ethnonationalism is anti-egalitarian. As stated earlier, for Schuon and other Traditionalists, being part of the same race is no justification for disregarding the natural differences between individuals. In fact, since caste takes precedence over race, it logically follows for Schuon – and he explicitly states – that individuals of a different race, but of the same caste, are more fundamentally, or metaphysically, similar to each other than individuals who are of the same race, but of different caste. However, this view should not be confused with the view that sharing the same caste makes two people equal, regardless of race. Rather, Schuon means that they share the same type, and a “vertical” equality of caste is more real than a “horizontal” equality of race. Schuon’s essay, like his other writings, is rather scattered and spontaneous, so this is just an attempt to lay out the essentials of Schuon’s thoughts on race. As a result, there are many remarks that were not covered here, so I would highly recommend reading the essay itself. 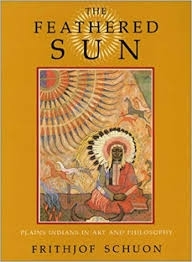 Schuon offers an extremely balanced and fair view of the human races, and the love he has for human diversity is strongly apparent in his writing, to the extent that even an honest Leftist would be hesitant to label his views “racist.” I even think that this essay would offer a great entry point for people of a spiritual and intellectual bent to the concepts of ethnonationalism. 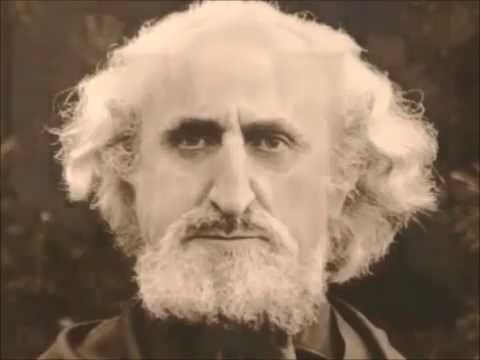 Schuon offers a very positive view of a diverse, yet unified, humanity, in which all races are different, yet all uniquely aspire to the same divine reality. Language of the Self (Bloomington, Indiana: World Wisdom Books, 1999), pp. 147-175.